This comes from a piece of medical equipment made by the other S&W, Simonsen & Weel, Denmark, circa 1979. 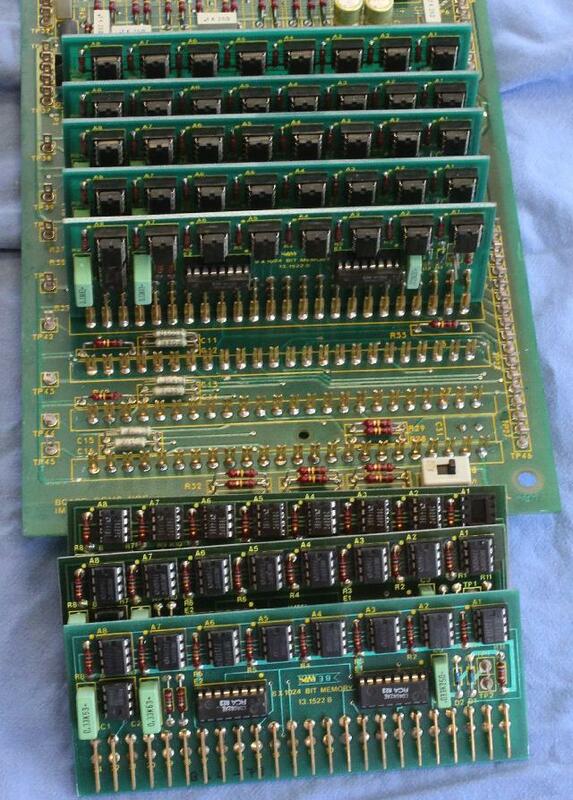 Each module has 8 x AM2808PC 1024-bit dynamic shift registers, driven by a DS0025CN two-phase clock driver. 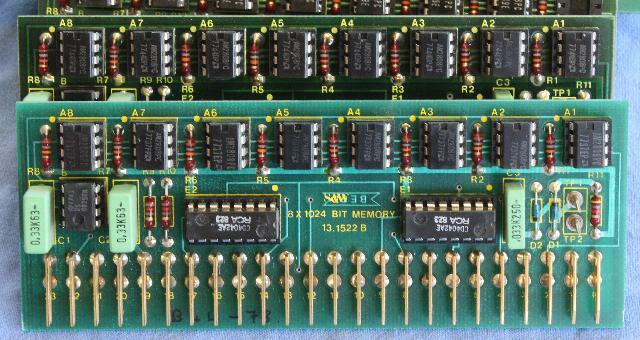 That’s one kilobyte of storage per module, and you have to keep on clocking the data around the ring otherwise the capacitors making up the memory discharge and forget. It’s a lot simpler than a mercury delay line memory, but functionally it’s not that much different.